Over the last twenty years, we’ve gotten a lot of mixed messages about protein. Should we be Paleo and eat animal protein or be vegan and get our protein from plants, beans, and grains? Well, the truth about protein is a lot more nuanced than we think. What we can say for sure is that protein is important for everyone. 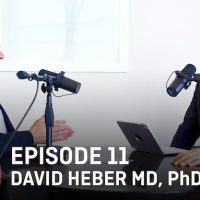 This week, my guest on The Doctor’s Farmacy, Dr. David Heber, gives us the 411 on protein. Dr. Heber is the Founding Director of the UCLA Center for Human Nutrition at the University of California, Los Angeles, a Professor of Medicine and Public Health, the founding Chief of the Division of Clinical Nutrition in the Department of Medicine. He directs the NCI-funded Clinical Nutrition Research Unit and the NIH Nutrition and Obesity Training Grants at UCLA. Dr. Heber is board-certified in Internal Medicine and Endocrinology and Metabolism by the American Board of Internal Medicine, and in Clinical Nutrition by the American Board of Nutrition. He earned his MD at Harvard Medical School and his Ph.D. in Physiology at the University of California, Los Angeles. Dr. Heber served as a Director of the American Board of Nutrition and past chair of the Education Committee of the American Society of Clinical Nutrition. 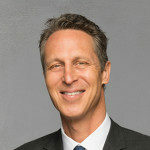 He is included in the 2000 listing of The Best Doctors in America, based on a survey of over 35,000 doctors throughout the nation, and is listed in Who’s Who in America for 2001. Dr. Heber’s primary areas of research are obesity treatment and prevention, the role of nutrition, phytochemicals, and botanical dietary supplements in the prevention and treatment of common forms of cancer and cardiovascular disease. In this episode, we talk about food as medicine, and specifically we talk about protein as medicine. It all comes down to this—everybody is different, and that’s good news because it means we can personalize our diets and the amount of protein that we need. Whether you focus on vegetarian sources or animal sources, one thing is for certain, protein is an essential part of the human diet. All of the thousands of molecules in your body are built from only 8-9 essential amino acids that we get from our diet. When you eat food, protein is digested, and it’s broken down into these amino acids or what I call building blocks. Our DNA strings these together to make proteins from these amino acids. When we don’t get enough dietary protein, our DNA doesn’t have enough amino acids to sufficiently carry out this process. If our cells are going to talk to one another, they need protein. If you don’t eat adequate protein at every meal, you can end up being anxious, depressed, hungry, and tired. I’ve seen this happen to so many of my patients. Dr. Heber helps us understand the importance of protein in our diet, and he also helps us understand where our protein sources should come from. For example, if we eat meat, we should be choosing grass-fed and organic meat. As for veggies, you may have heard that legumes have a lot of protein, and they do—for plants. But they lack a number of critical amino acids. You have to eat three cups of beans with 100 grams of carbs to equal 6 ounces of animal protein (that contains zero carbs). And plant proteins contain very little leucine, the rate-limiting amino acid needed to build muscle. As we get older, we are especially at risk for muscle loss which is the single biggest cause of rapid aging and disease, so getting enough protein becomes crucial. The goal for you, if animal protein is not part of your diet, is to ensure a variety of vegetables, a balance of diverse protein sources, and moderate intake of complex carbohydrates. While this can pose a challenge for many people, eating a plant-based diet suitable for the targeted outcomes with some clear guidance, can be just as successful. Dr. Heber and I also talk about fat and carbs. What is essential? What isn’t? What drives disease and what nourishes us? Think of this important and fascinating episode as your guide to understanding macros. PS: If you’re enjoying The Doctor’s Farmacy, please subscribe on iTunes and leave a review! I would love to hear from you. You can also watch it right here on YouTube.